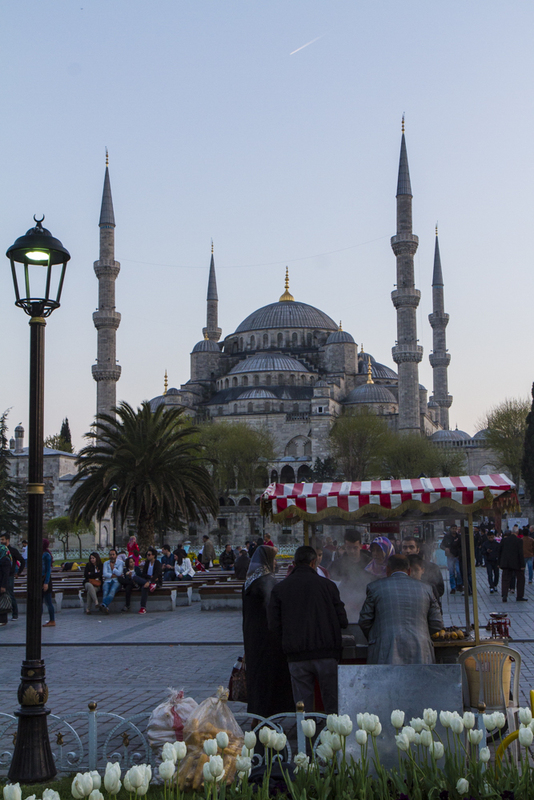 On weekends old town Istanbul teems with locals and tourists. I wandered through the Hippodrome area early Sunday evening, and it was still crowded with people enjoying the lovely spring weather. 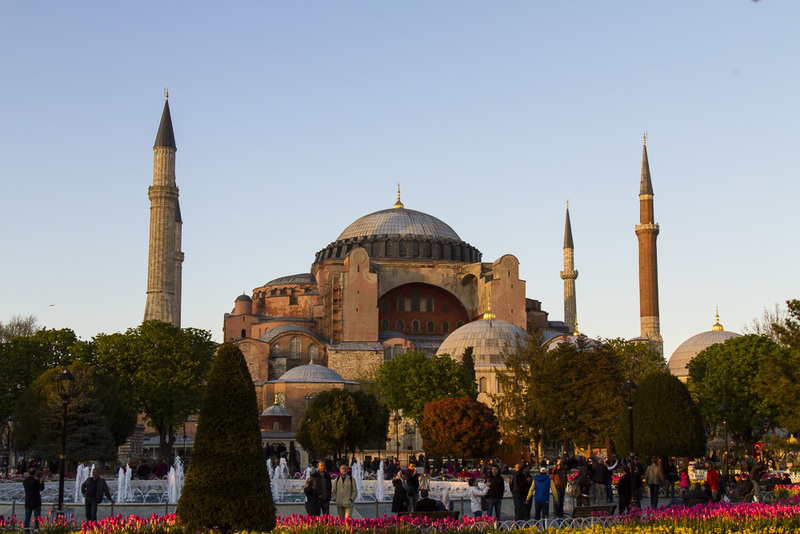 If I looked to my right, the setting sun lit up the facade of Hagia Sofia; to my left, the growing twilight threw the Blue Mosque into deepening shadows. Amazing how different the light was on each building at the same moment.